Completing Ironman – Louisville and numerous half and full marathons. 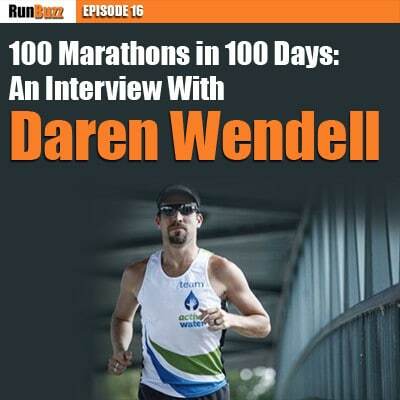 However, this January, Daren is preparing to take on his biggest challenge to date – running 100 marathons in 100 days! Earlier this month, I found out about Daren’s journey and instantly knew I had to have him on the show. Daren isn’t doing this for himself – he’s raising money for activewater.org to help provide clean, safe drinking water throughout the world. So sit back, enjoy, and learn about what it takes to train for and put on such an amazing an event like this. How Active Water helps athletes build a platform to help raise money. What a typical training week looks like for Daren. Some of Daren’s previous endurance events. Daren’s goal of getting others involved and participating in his cause. What it takes to put together a support team. Daren’s team is looking for an RV. If you can help, please contact him.